Al-Rawi replied similar penalties were prescribed for the Proceeds of Crime Act (under amendment yesterday) as for Anti-Terrorism legislation. Secondly those listed penalties are the maximum figures allowable but in fact are subject to a judge’s discretion. Thirdly, he said the stiff penalty reflects a proportionality to the prevalence of the crime, noting that locally money-laundering offences total almost the country’s entire National Budget. In the debate earlier, the AG said the year 2016 top 2017 had seen $22.5 billion in suspicious offences reported by the watchdog Financial Intelligence Unit (FIU.) Independent Senator Melissa Ramkissoon also wondered at the $50 million fine by saying the TT Police Service web-site spoke only of money-laundering offences of up to $3 million. Al-Rawi replied that there are pending “quite a cases well beyond $3 million” in worth. He said the hefty fines reflect the level of Parliament’s scorn of money-laundering. Upon a committee vote, the penalties remained. 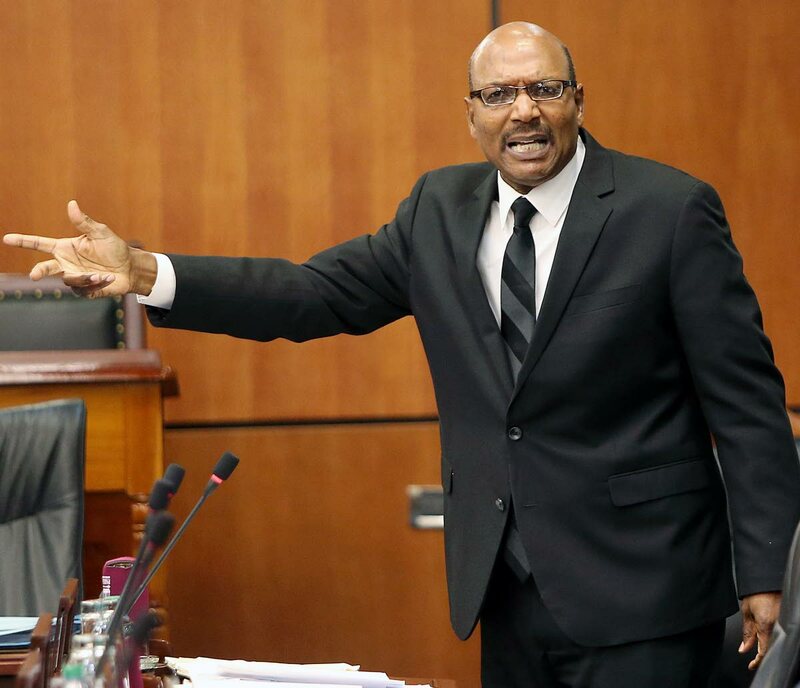 Opposition Senator Gerald Ramdeen asked for a deferral in Parliament making money-laundering also triable at the Magistrate Court (in addition to the High Court as previously). In reply, the AG said it is the Director of Public Prosecutions’ recommendation. Al-Rawi said 27 money-laundering cases are before the law courts, some since 2012, and none of them has yet made it past the preliminary inquiry stage. Reply to "Opposition: $50M fine for money laundering is cruel"